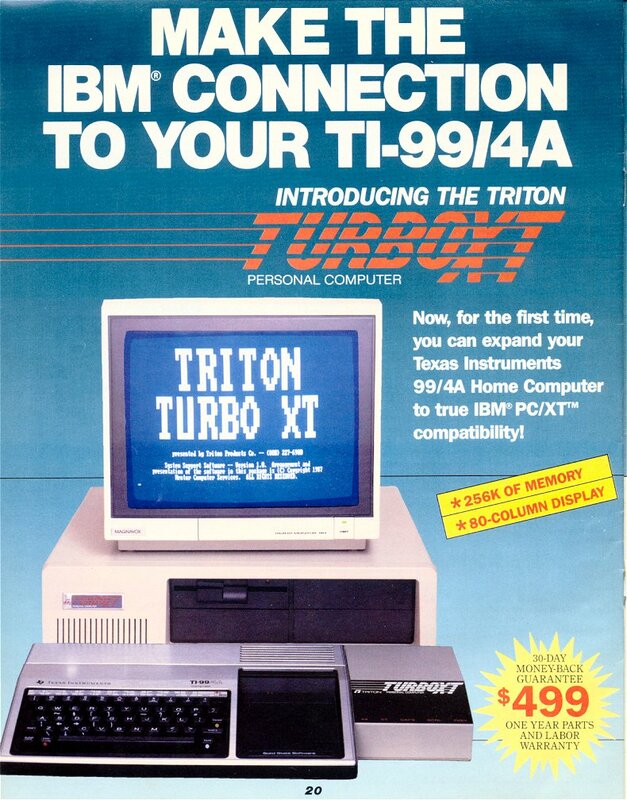 The Triton Turbo XT was an XT computer that you could hook up through your TI keyboard using the TurboXT Bridge Box. It wasn't much more than a switch box to switch between the TI and the XT. Even though, it is an interesting part of the TI history. 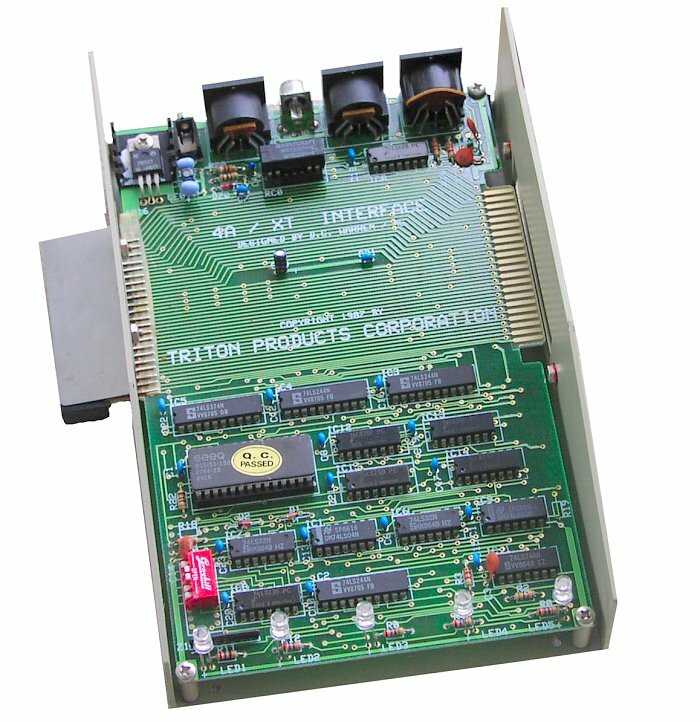 The XT supplied, contained an Intel 8088-2, running at 8 and 4.77 MHZ, and came with 256K RAM. 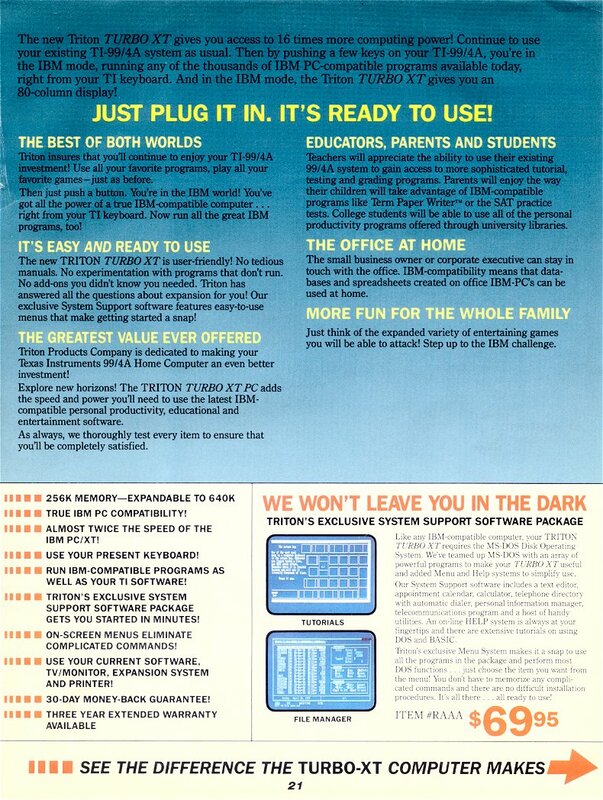 The computer and bridge box sold for $499.00 in early 1987. 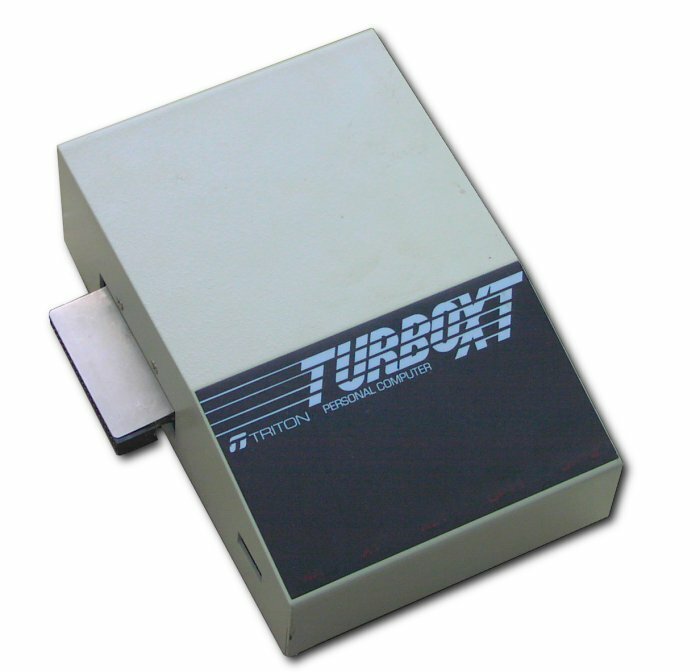 This is a picture of the TurboXT Bridge Box. 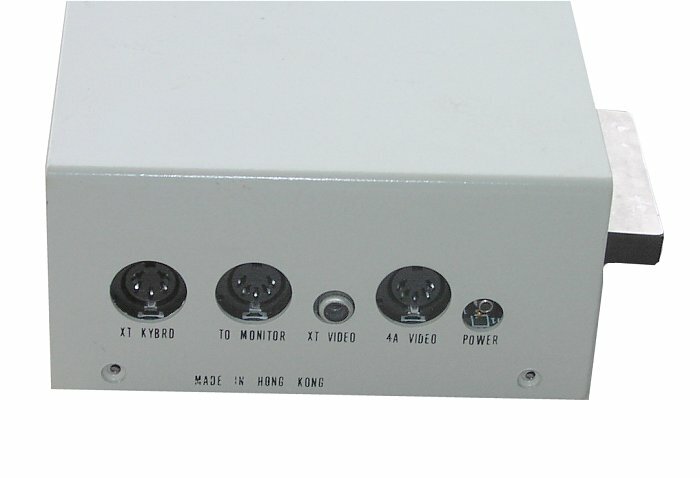 This shot is the back of the bridge box, showing the hookups for the various cables. This shows the inside of the box with the cover removed. 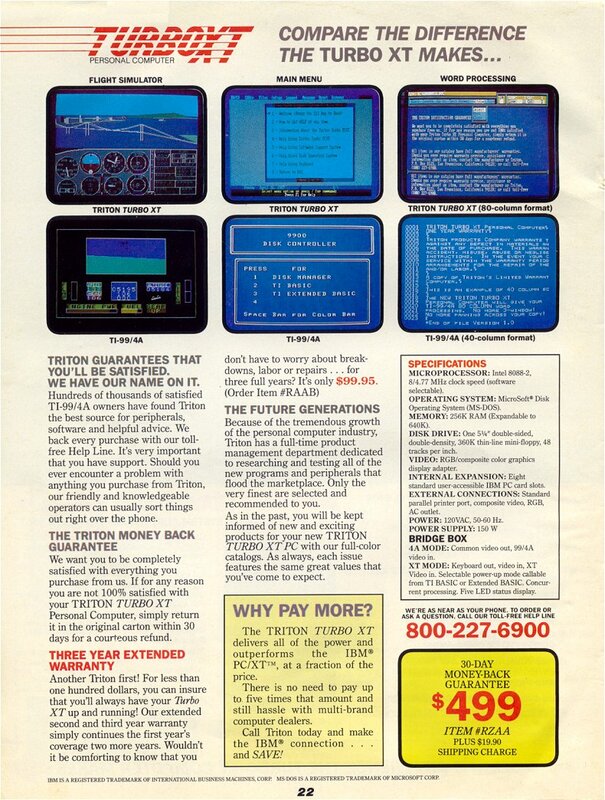 Below is the 3 page ad from the Spring 1987 Triton Catalog.